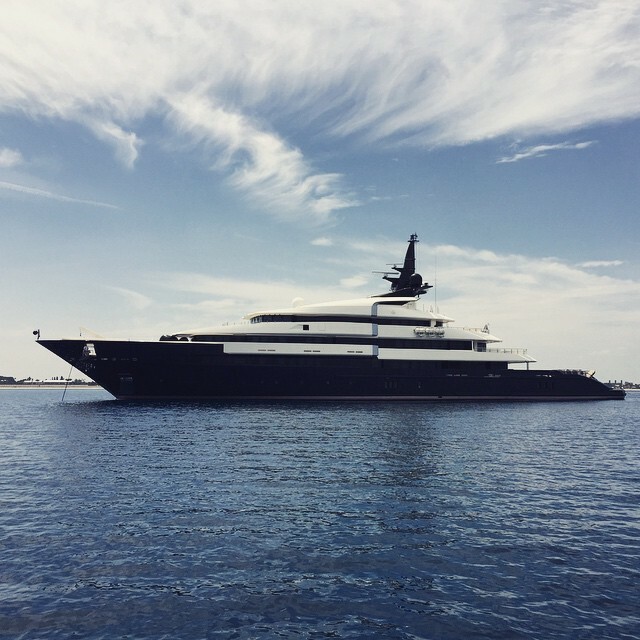 The Instagram photos, snapchats and reality television shows can be misleading depictions of what it’s really like to working on a superyacht. Sure, you’re surrounded by crystal clear blue water and you live on a giant toy worth millions but as all yachties can assure you working on a luxury yacht is not one big party. The days are long and depending on your guests, the nights can be longer. So, it’s important to understand that working on a yacht is a REAL job that demands all of you but it’s perks might just make it all worth it. Not! Looking at a mega yacht can be quite deceiving in terms of size. I mean sure, the boat is 200ft long but your room is most likely to be less than 20ft. It’s basically like bringing your bed and belongings into your bathroom… Oh, and throw another person in there as well! Ok, maybe not that bad but pretty close. Helicopters, jet-skis, paddle boards, giant blow up slides! These are the norm in regards to superyacht toys but just because they’re on the boat doesn’t make them yours. Most of the time you regret these toys ever existed, they require a lot of maintenance and clean up. There are occasions when you get to take them for a spin, but most of your encounters with them will include cleaning supplies. People assume that because you work on a boat you never get sea sick, but the rolling waves can get to just about anyone. When you work on a boat you just know better ways to avoid seasickness. For example, not boozing the night before a big trip or taking Dramamine the night before if you know the waters will be rough. Seasickness isn’t the end of the world, but it is a part of yacht life. Sure, the yachting industry loves pretty girls but if you’re scared of cleaning a toilet this is not the industry for you. These yachts are made for luxury and people/ owners expect five star services every single day. So looking good is important but being able to get your hands dirty is more important.